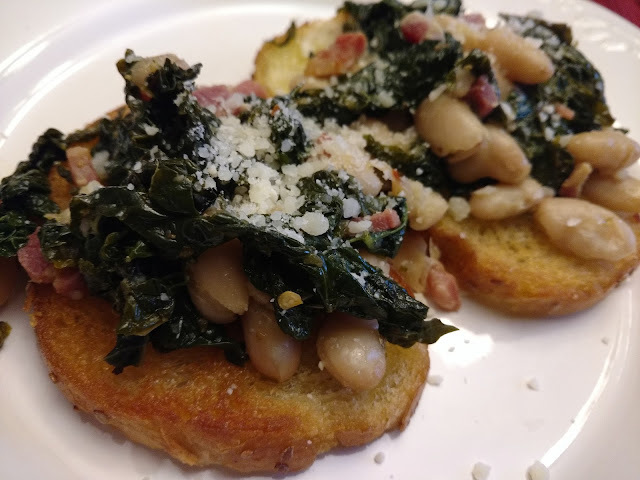 This recipe had me on Greens and then Fried Bread. This is from the new Bon Appetit. Page 64 if you have it in front of you. Gosh, this was so good. Chris liked it except for the green stuff. 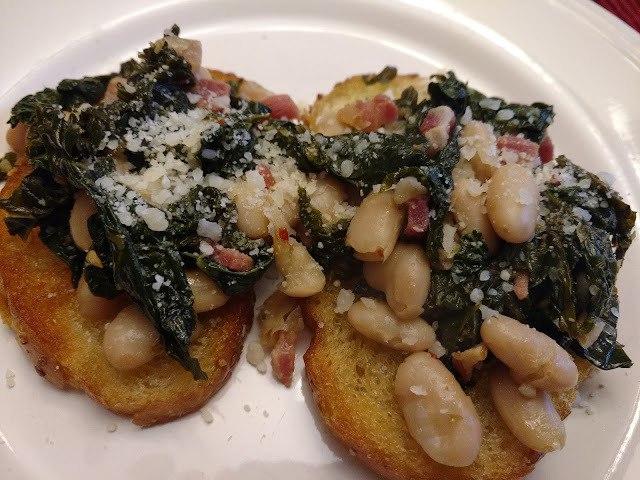 Of course, I did add pancetta to the recipe. It was screaming for it. The aroma of the wine, water, and oregano was intoxicating. And did I mention the Fried Bread? Here is the link- Click here!!! Bring wine, garlic, oregano, salt, red pepper flakes, and ¼ cup water to a boil in a large skillet. Add kale, cover pan (a baking sheet works great if you don’t have a big lid), and cook, stirring occasionally, until greens are wilted, about 4 minutes. Mix in beans and ½ cup oil and cook, uncovered until beans are warmed through, about 2 minutes.